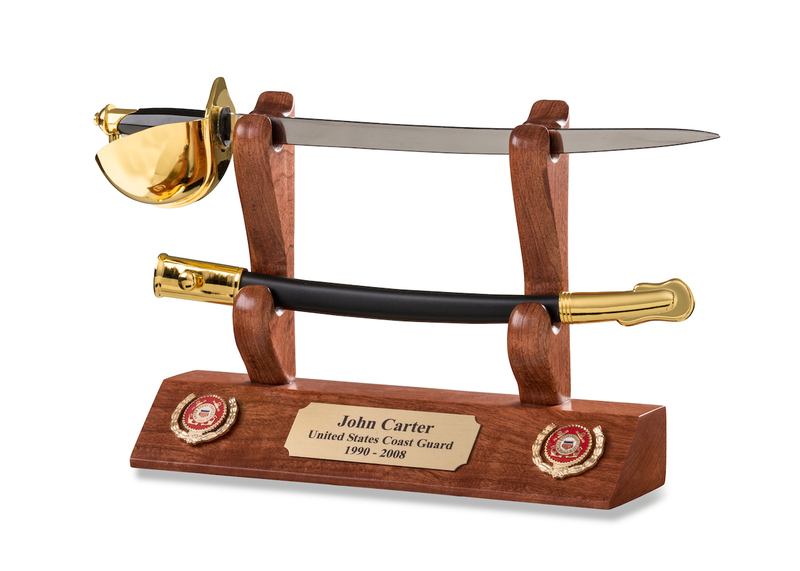 These beautiful Coast Guard Cutlass Letter Openers, along with their Custom Hardwood Display Stands, provide a functional way to demonstrate your Coast Guard pride. Each, European made, Cutlass is a miniature replica of the Authentic Coast Guard Cutlass. The Cutlass features a solid brass half-basket guard and a stainless steel blade. An engraved brass plate, mounted between the two emblems, is available.